Here's a chance to enjoy some original photography from a man who not only takes the images, but poses for the camera himself. Joel Richardson was born to parents involved in dance and music. As a child he and his mother, a Russian born ballet dancer, would do stretching exercises together. 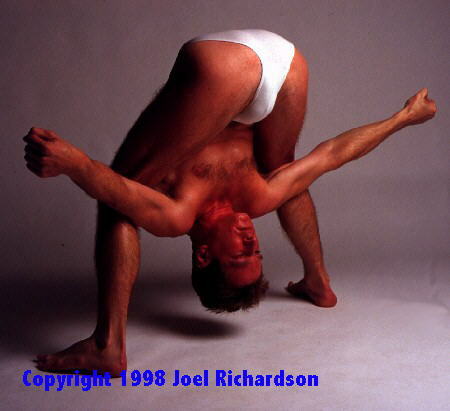 Although he decided not to pursue dance and instead is a professional photographer, he's been active in yoga and (as you can tell from the self portaits) is quite limber. He also has included two photos of Amy in this sample of his work. Joel was gracious enough to allow me to publish his photos on Flex City. Please respect his rights on these images, and download them for your own personal use only.